How is your marriage? Is your relationship with your spouse doing well? Or does it need improvement, even in some small way? Our preaching series through Deuteronomy continued this past Sunday at Faith Church looking at numerous passages in chapters 21-24 related to marriage. As I was away most of the week at my denomination’s Pastoral Assessment Center, I asked my brother, Jeff Kime, to preach. Jeff is the Executive Director of The Marriage Hub, a ministry whose mission is to help strengthen marriages, particularly those in crisis. Jeff and his team regularly hold marriage intensive retreats designed to give couples hope and tools to transform their marriages in a godly direction. Even if your marriage is vibrant, Jeff, in this sermon, teaches great principles for strengthening marriages. Maybe you’re single and wondering if this sermon is not for you. It is most certainly for you, too. God may have marriage in your future, and it will be important for you to learn these principles that you could apply or share with others in your life who will marry. So take some time and evaluate your marriage or relationship status. Ask God to help you hear from him! And then listen to the sermon. What you’re going to learn is the difference between a contract and a covenant, and why that matters so much to how we view marriage. This past weekend, there was possibility of a major winter storm, so Jeff created a video version of the sermon. And if you know that your marriage needs help, but you don’t know where to turn, please contact Jeff at The Marriage Hub! 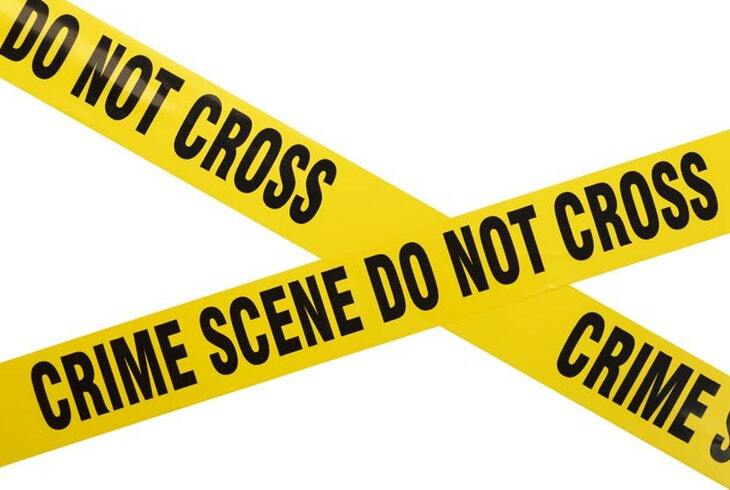 From our murder mystery in part 1, into the bizarre dead body ritual of part 2 and part 3, and through the messiness of crime in part 4, what have we learned about God’s heart through the teaching of Deuteronomy 21 about crime and punishment? God is serious about the purity of the land, and the purity of his people. Because he is so passionate about purity, of course his heart beats for justice. Even if the perpetrator of the crime is not discovered, as we saw in this passage, there is still a process for justice and atonement. God’s justice and purity, therefore, are interrelated. When impurity has occurred, he not only wants impurity to stop, but he also wants to bring justice to the situation. So how do we Christians apply these principles of purity and justice to our lives? First, remember that this is not our covenant! We are not the Old Testament nation of Israel, and thus we are not bound by their covenant. Christians don’t have observe ancient Israelite rituals for handling dead bodies. We don’t stone disobedient kids. We are the church of Jesus, and we are bound by his New Covenant, which is the teaching of the New Testament. What we can do with this Old Testament teaching is focus on those underlying principles of purity and justice. Let’s take a look at justice first. Christians should be actively pursuing a just society. Justice in society touches many more issues than we can discuss in this one post. Since Deuteronomy 21 is about crime and punishment, let’s talk briefly about crime and justice. Crime is unacceptable in a just society, and it needs to be dealt with. Right out of college I worked on staff for three years at what was then called Barnes Hall, Lancaster County’s Juvenile Detention Center. During those years I got to have an up-close and personal view of the justice system, particularly the juvenile justice system. We saw kids go to a variety of placement and treatment centers, including some who went to jail. I was shocked to learn that almost nothing helped most kids. 80% would come back, eventually committing more crimes. I did some research this week on adults and prison, and here in Lancaster County, PA, 4 out 10 will return to prison in the first year after their release. Thankfully, Lancaster has some very successful re-entry programs for people coming out of jail. In the town of Leola, for example, the Potter’s House is a transitional discipleship ministry for former convicts. Potter’s House and other similar organizations in the county have proven effective, dropping the recidivism rate to 15% for those who successfully complete their programs. Lancaster’s model is so successful it has caught the eye of counties state-wide, including the city of Philadelphia. It is amazing to see Christians actively involved in providing alternatives to crime and punishment. This is right in line with God’s heart for justice. But Deuteronomy 21 also reminds us about God’s heart for purity. There are many places in the New Testament that affirm that Christians should pursue holiness and purity. I am not saying that unless we are perfect all the time, something is drastically wrong with us. We must remember that Christ is our atonement. His birth, life, death and resurrection is the work of making things right. Jesus defeated sin and death and the devil, and thus he set us free to pursue holiness. This is what Paul teaches in Romans 5 and 6. I encourage you to read that this week. Paul says what Jesus did out of love for us is amazing. God’s grace in our lives is wonderful. God’s grace has come to us in the person and work of Jesus, and that has set us free to pursue righteousness! In other words, disciples of Jesus do not abuse God’s grace, but we seek to purge the evil from among us. So many people have experienced this transformation. I recently heard the story of Carla Faye Tucker who was transformed from a killer on death row to an imprisoned preacher. I also encourage you to read the Testimony articles at end of each issue of Christianity Today. These are stories of God at work changing lives. Finally, ask yourself: What impurity is there in your life? What do you need to remove and deal with? What will it look like for you to pursue God and his holiness? Crime and punishment is so complex, messy and often frustrating. The third season of the podcast Serial does an excellent job exploring the nuances of the criminal justice, as seen through the lens of Cleveland, Ohio. It likely comes as no surprise to you that we humans have a conflicted history of dealing with crime. In this series on Deuteronomy 21 it has been no different for the ancient nation of Israel. Through it all we have seen God’s heart for purity. Even when a crime is committed and they don’t know who the guilty party is, Israel still needs to atone for it. Purity in the land, and purity in his people is vital before God. This theme continues in verses 18-21. Here again we have another one of those passages that is hard for us to hear with our modern sensibilities. Parents were to take extremely disobedient kids to the town elders, who will stone them to death. Whew! I think it is important to note that this is not just a regularly disobedient kid. We all can remember when we were kids and didn’t do what our parents wanted us to do. How many of you have stories? I do. There was the time my parents gave me 50 cents before church one Sunday. I was to put it in a Sunday School class offering. But I kept it in my pocket instead of putting it in the offering plate. After church, my family went home, and at some point that afternoon, I went outside to play. I waited a few minutes, came back inside, and told my parents I found two quarters on the sidewalk! I then asked if I could go around the corner to the local convenience store to buy a pack of baseball cards. In high school I once lied to them about which movie I was going to see with some friends, and at the theater, the whole way through I couldn’t enjoy the movie because I felt so awful. Maybe you know what I mean. That is disobedience, but it was not all out rebellion. What we are reading here in Deuteronomy 21 is all out rebellion. It’s not just a few instances, or even a lot of disobedience. It is far worse, and there is no stopping it. Also, we read that it involves drinking and drunkenness. So we’re not talking about a child, but at the youngest, a teenager, and perhaps more likely a young adult. The word “profligate” is used to describe this person, and that is not a word I use much or hear much. The Hebrew word used there is sometimes translated “gluttonous”, sometimes translated “despicable.” It refers to a person who is out of control. So this is way more than disobedient. This is a criminal. The person is not just disrespecting or disobeying their parents, but all of society. And the punishment is death. Again I say, Whew. Death? The ultimate punishment! The death penalty. Like the war passages we studied in the previous series, it is hard to know how to react to this. Isn’t there some other way to respond than the death penalty? Is there a possibility for rehabilitation? Why such decisive, final action? We know that God dearly values human life, but here we have an instance where he commands them to take life away. Is God inconsistent? When compared to the holy war passage we studied last week, this command to give the death penalty to a profligate son is entirely consistent. Last week we saw God’s heart to keep Israel pure by eradicating the land of nations that were declared evil. That was evil outside Israel. Here God is purging the evil from within. God wants purity in the land. Take a look at that last statement in verse 21. He says that when they give rebellious people the death penalty, it will serve as a deterrent for the rest of the nation. Implied in this command is that other people will be afraid, and thus those others will want to be pure. We hear these kinds of arguments made for the use of the death penalty in our nation, that it removes evil and provides a deterrent for others, supposedly motivating them to be pure. As with the disagreement about war, there is among Christians major disagreement about the death penalty, and about crime and punishment in general. In any church, I’m sure some support the death penalty, and I’m sure some Christians do not. I’m sure we have people who are for jail and imprisonment and those who would like to have significant prison reform. These are conflicted issues that we will not solve in this post. Instead I’d like to try to seek God’s heart in this passage. First, we see that God desires that children obey their parents. Second, he desires that evil is dealt with and restrained, and third, he desires that his people to live lives of purity. This theme will continue in verses 22-23. The situation of the evil son in verses 18-21 means that there will be some who are put to death by the death penalty. The situation in verses 1-9 relates as well, because if the murderer is eventually found, murderers are to be put to death too. Now here in verses 22-23 what we read is a death penalty that was enacted by hanging. But similarly to the unsolved murder in verses 1-9 this hanging presents a problem. What do you do with the body? What is the principle behind it? Once again: Do not desecrate the land. What does this teach us about God’s heart? Purge the evil from you. God is a God of purity and holiness. In part 5, we’ll consider the implications of these principles for our lives. Imagine the scene. In ancient Israel, a murdered body is found in a field, and no one knows who committed the crime. Who should deal with the body, and how does God want the people to deal with the blood guilt? In this series we’ve been exploring the fascinating ritual God commands the people to follow. Read part 1 and part 2, covering verses 1-5, and the beginning of the ritual. What happens then in verses 6-9 is the remainder of the ceremony. Thus far, the nearby towns have measured the distance from the body to their towns. The closest town has jurisdiction, and the elders from that town must take a young heifer to a wadi with a flowing stream, and there they break the neck of the heifer with priests observing them. The elders, then, ritually wash their hands over the dead heifer and they recite a prayer to God declaring on behalf of the people that they are innocent, and they ask God to consider them now atoned for. This ceremony has led to some amazing speculation as to what was going on with all these unique features. Ancient Rabbis, one scholar reports, said that “the ceremony [was] an act of punitive magic. A swarm of worms from the heifer finds the killer and seizes him so that the authorities can bring him to justice; [another Rabbi said] the worms themselves kill him.” Notice that the text says nothing about these magical worms! But what is certain, is what happens at the end of the ritual. The prayer. By going through this ritual, verse 9 tells us, the people will have purged themselves and the land of guilt from bloodshed, declaring that they are innocent, and they are declared as having done what was right in God’s eyes. Fascinating ritual, isn’t it? It is a unique section of Scripture, but what does it matter to us? What do we see of God’s heart in this passage? Through it all, we see God’s heart for purity. Even when a crime is committed and though they don’t know who the guilty party is, Israel still needs to atone for it. Purity in the land, and purity in his people is vital before God. Tomorrow we add to this theme in part 4 as we have two more illustrations of crime and punishment, through which we will learn more about God’s heart. Tigay, Jeffrey H. Deuteronomy. Philadelphia: Jewish Publication Society, 1996. Print. The JPS Torah Commentary. We have a murder on our hands! In part 1 of this series on crime and punishment in Deuteronomy 21, a dead body has been found. But the murderer can’t be found, or is thus far unknown. God has told Israel that the body bring blood guilt on the land, and as we saw in part 1, he takes this very seriously. So God gives them a method to deal with the blood guilt in the land Deuteronomy chapter 21, verses 2-9. Look at Verse 2. The leaders of local towns are to measure the distance from the body to their various towns. This measurement would most likely happen by counting paces. Is God saying that that the murder was committed by a person who lived in the town closest to the body? No. Again this is not about finding out who did it. We are told that they don’t know who did it, and right now there is a more pressing issue: the body and blood spilled on the land. What we are seeing here is the method Israel is to use to determine which town had jurisdiction to deal with the body. Once they determine which town is closest to the body, then that town has to deal with the body and blood guilt. This brings us to verses 3-4, and what have in these verses is something that has no exact parallel in the Old Testament Law. We are told they are to take a heifer, a cow that has never been worked, never worn a yoke. Most likely that means it would be young, probably around 1 year old or so. And they are to take that heifer out to a valley with unplowed, unplanted land, but with a flowing stream. This is called a wadi, which are common in the Middle East. Many wadis have dry riverbeds that flow with water during the rainy season. The wadis that are to be used for this ritual, however, are to have a constantly flowing stream. Here’s the thing, though. While there are many wadis in Israel, only very few have a constantly flowing stream. Some towns are quite far from a wadi with a stream. Why would God want them to perform a ritual in such a remote area? There is much speculation and very little agreement as to how to interpret this. What is agreed upon though is found in the verses that describe the end of the ritual. Before they get to the end of the ritual, however, there are a few steps the elders of the town must perform. First they are to break the heifer’s neck. No easy task. How do you break the neck of a cow? Cows have huge necks! More importantly, though, why would God want them to break its neck? God had already told Israel about a sacrificial procedure for the nation on what is called the Day of Atonement, where the sins of the nation would be placed on an animal that was sent outside the camp. That animal was called the scapegoat. The Day of Atonement scenario has echoes of what we read here in Deuteronomy 21, but this is different. The breaking of the heifer’s neck means there is no bloodshed, and further there is no altar. That means this heifer with the broken neck is not being sacrificed. There are plenty of passages in the OT Law that teach things like, “without the shedding of blood there is no remission of sins.” But here there is no bloodshed. What is going on here? We have to continue on in the description to fully understand the meaning. In verse 5, after the elders have broken the neck of the heifer, the priests step in as representatives of the Lord, but we are not told why. Perhaps as representatives of God, for this ceremony to be official, they need to be there. The people of that town, if they are serious about dealing with the purity of the land, and they do have a dead body on their land making the land impure, definitely want God’s approval for the purification ceremony, and apparently it requires the priests to be there. So what is this ritual all about? We’ll explore that further next in part 3. Do you like crime dramas? Last year I watched a Netflix documentary called Making A Murderer. It was gripping, often feeling like an extended episode of the TV show, Law & Order. There were many interesting characters and plot twists, but in this documentary, all of it was real. No actors. Real interviews. Courtroom and TV news footage. Making A Murderer follows the story of one family over the course of many years, as a police department investigates a murder, as the justice department builds a case, and eventually as suspects are convicted and thrown in prison. But they appeal, and the appeal process takes time, and there are more court room scenes. Surprisingly there is an acquittal. Then there is another murder seemingly involving the same family, which leads to another investigation, court case, imprisonment and appeals. The process is messy and expensive and time-consuming, and you never know what really happened. I was glued to the screen. In this series of posts in our study through Deuteronomy, we have three illustrations of crime and punishment, and the first one looks a lot like a murder mystery. If you’d like, see for yourself by reading Deuteronomy 21. What we are seeking is to learn more about God’s heart through his teaching to Israel about crime and punishment. Look at verse 1, our first crime. As you can see, the text gives us a couple clues that this an unsolved murder case. The first clue is the word “slain” at the beginning of the verse. This is a vivid word in the Hebrew, better translated by our English word “pierced.” It gives us the image of body that has been pierced by a sharp object, like a knife or sword. The second clue that this is a murder is the phrase, “and it is not known who killed him,” at the end of the verse. So we have a body that has been pierced and is dead, but we don’t know who did it. My mind immediately thinks: murder mystery! I want to know more about this body and who did killed the person, and why. But interestingly, the circumstances surrounding this death are barely in view in this passage. There is no mention of tracking down the perpetrator, or anything like that. It simply says, “it is not known who killed him,” which is vague. We have no idea how much they investigated. Was the body just found that day? Have they been working this case for weeks? We don’t get any details. You might be thinking, but those are important details! Shouldn’t God care about justice for the victim? Absolutely, he does. In fact he already dealt with that, as we will see below. God has another reason, however, for bringing up unsolved murders here in chapter 21. Look at the middle of verse 1. The body is found lying in a field, and yet notice how he describes the field. It is “in the land the Lord their God is giving them to possess.” That should sound familiar, because throughout our study of Deuteronomy we have heard a lot about the land. The land they are about to possess is the Promised Land, Canaan, the land of their forefathers, the land flowing with milk and honey. God references the land 178 times in the book of Deuteronomy, and in all but three chapters. I don’t know that it would be possible to overstate how important the land was to God and to the people. For a people without land of their own, it is incredibly emotional when they obtain land. Think about how you felt when you rented your first apartment or purchased your first house? Overjoyed! You had a space of your own. Teachings like these, and many others we have seen throughout Deuteronomy, illustrate how deeply God wanted purity in the land and in his people. He not only wanted the physical land, the dirt, the earth, to be pure, but he also wanted the same for his people. The Canaanites who were living in the land, though, did evil in God’s eyes. They practiced the sacrificing of babies in worship, they were ruthless and murderous. God wanted Israel to be different, to be holy and just, as he was. So he is particular about purity. There must be no innocent bloodshed. When blood was shed, Numbers 35 tells us, the murderer must pay the blood guilt with his own blood (death penalty), and then God declares that the land will be pure again. But what if the murderer can’t be found, or is unknown? How will the blood guilt on the land be dealt with? In other words, they still need to deal with the body! So God gives them a method to deal with the blood guilt in the land when an unsolved murder happens Deuteronomy chapter 21, verses 2-9. In part 2, we’ll examine what turns out to be a very strange ritual.